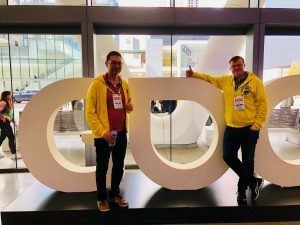 GDC 2019 – what was there to take home? Apprien team had a week full of great customer meetings and meetings with a huge bunch of old and new friends. As always, GDC is massive, perhaps even too big to handle! The sheer numbers are amazing: nearly 30.000 participants! 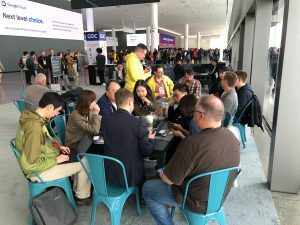 GDC is the world’s largest and longest-running event serving gaming industry professionals and dedicated to the art and science of making games, concluded its 33rd edition on this Friday. GDC broke its last year’s record attendance with a total of 29,000 industry professionals at San Francisco’s Moscone Center from March 18-22. GDC will be returning to the Moscone March 16 to March 20, 2020. 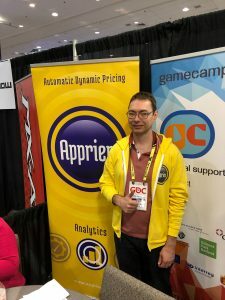 GDC 2019 hosted a slew of content over the course of the week, including a total of more than 780 lectures, panels, tutorials and roundtable discussions, as well as more than 550 exhibitors on the Expo Floor. This year introduced the GDC Main Stage: The Developer’s Journey, a multipartpresentation that featured Siobhan Reddy of Media Molecule, Sean Murray of Hello Games, and Laralyn McWilliams of Microsoft describing the sources of inspiration that drew them to game development and propelled them though the challenges of creating and releasing games out into the world. 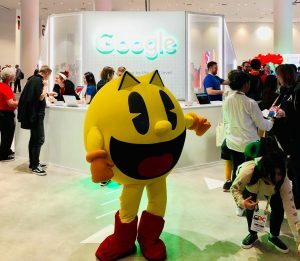 Also big and awaited announcements from Apple Game Arcade and Google Stadia were outed in the event. Also number of big games prevailed: New Zelda, Cuphead and Vampire / Bloodlines 2.